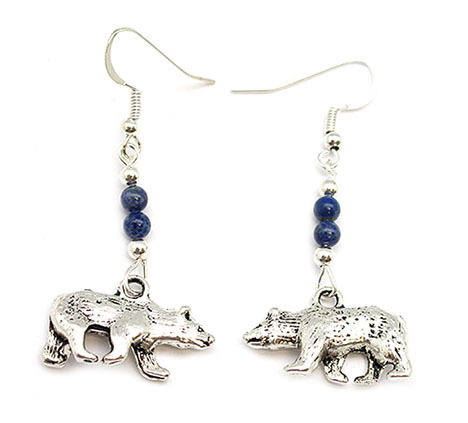 Two 3mm lapis beads with silver plated beads and a pewter bear make up this earring. It measure approximately 2" long by 7/8" wide (bear). It is Navajo hand crafted by Sandra Francisco. Color shade of lapis beads may vary.